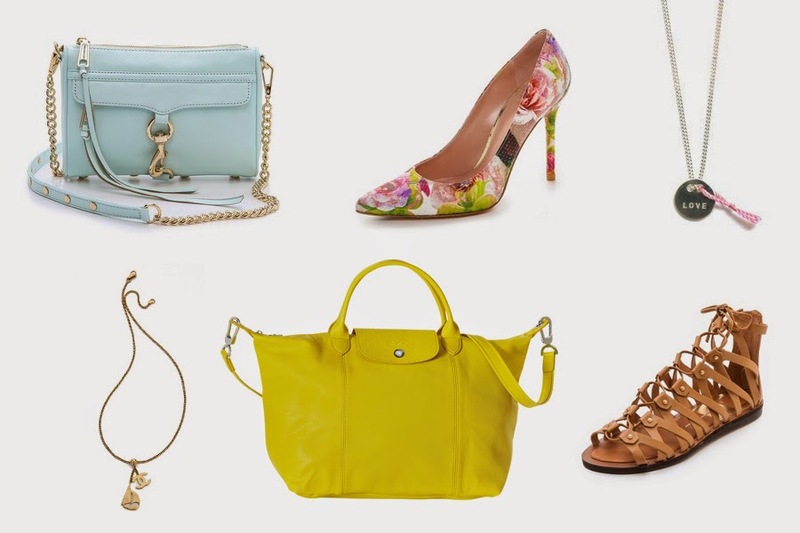 Some beautiful stuff to complete your spring wardrobe. My favorites from right to left. Cute baby blue Rebecca Minkoff Bag. Beautiful Stuart Weitzmann Floral Pumps. Necklace Love Van Rycke (via Bongenie Grieder). What goes around comes around Vintage Sailboat Chanel Necklace. Dolce Vita Fray Gladiator Sandals. Short hair - don't care. Bonsoir Chérie wants to say THANK YOU ! Easter Surprises - recently on my mind. Feels like New York City Sundays.